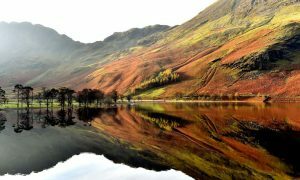 Today the Lake District has been awarded a World Heritage Status, The Lake District national park has been listed as a world heritage site, joining the Taj Mahal, the Great Wall of China and the Grand Canyon in being given one of the highest accolades in the world. I haven’t personally visited “The Lakes” yet, but it’s on my Bucket List of things to do in the next year or so, having 2 young children and trying to teach them and get them to appreciate Mother Nature, I’m pretty sure The Lake District will kick start their love of the Great Outdoors. I know many friends have visited the Lake District and go back year after year to visit this amazing place, which is approximately 2.5hrs away from Central London on the Train…. if your driving- forget the big Car parks, and do a bit of research and find the small rather unknown car pars to be guaranteed a car parking space. From what I’ve been told, if you haven’t parked your car by 06:30 in the morning you’re more likely to win the National Lottery than you are finding a car space.